Short wheelbase, manual, light-ish weight (2900 lbs), RWD, reliable & buildable 4.0-liter. Heck, the wheels from my MR2 fit on it. Just a few lowering springs away from greatness. 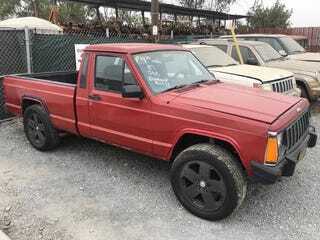 This or a 2-door, 4x2 XJ Cherokee. Lower the ride height and downsize the wheels a little bit, maybe find a limited-slip for the rear axle.